Mango Groove and Real Concerts are delighted to announce that Mango Groove will be performing a once-off, spectacular 30th Anniversary Concert at the Teatro Theatre, Montecasino! The successive releases of several more albums and hit singles, including ‘’Hometalk’’, ‘’Moments Away’’, ‘’Another Country’’, ‘’Nice to See You’’, ‘’Bang the Drum’’ and their latest album release ‘’Faces to the Sun’’. Setting new live performance benchmarks for all SA artists, being the only SA group ever to sell out the Sun City Superbowl and the Standard Bank Arena 6 times each. The band was the first to re-define live staging and production standards for SA acts; the first to command a million Rand sponsorship deal, and were the first and only group to remain at the top of the SA national sales charts for over a year. Highlights of their career include the direct satellite link- up to the Freddie Mercury tribute in London (to an estimated audience of a billion people); their performance in front of 200 000 people at the Paris “SOS Racism” concert; and their performance at the renowned Montreux Jazz festival where the band received 3 encores. From Toronto to Sydney, the band has played to sell- out crowds around the world. Mango Groove was given the honour of being the only South African (indeed African) act to be invited to perform at the “Celebrate Hong Kong ‘97” Reunification Concert. This historic event, part of the official celebrations commemorating the hand over of Hong Kong to China, was televised world-wide and immortalised on a commemorative CD. 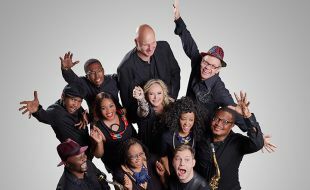 It was followed up, in fact, by Mango Groove being the only SA act to perform at the globally-televised concert commemorating the handover of Macau to China. Mango Groove was also especially proud to have been associated with the ABC world- wide broadcast of Nelson Mandela’s release where their music was used as the main theme. A few years later they headlined at his inauguration. Mango Groove has long been aware of music’s unique power to change people’s hearts and minds, and through the years the band has raised hundreds of thousands of Rands for issues such as literacy, terminally ill children and conservation.